Product prices and availability are accurate as of 2019-04-26 01:11:06 UTC and are subject to change. Any price and availability information displayed on http://www.amazon.com/ at the time of purchase will apply to the purchase of this product. This is one of those things that you must have in your home so that you and your family can spend quality time together and keep the competitive spirit high. Even friends will never want to leave your place because everybody wants a spot on the electronic scoring board. 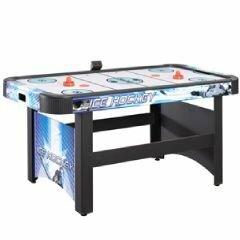 Do not hesitate and purchase the Carmelli TM Face-off 5 foot air hockey table. Game table top material of construction: MDF board. 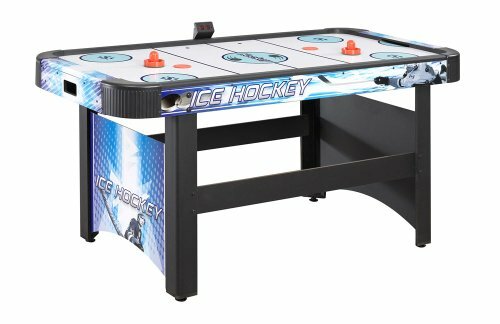 Laminated coating helps provide smooth, low-friction table top for the puck to slide with ease. Comes with 90 day limited warranty from the manufacturer. 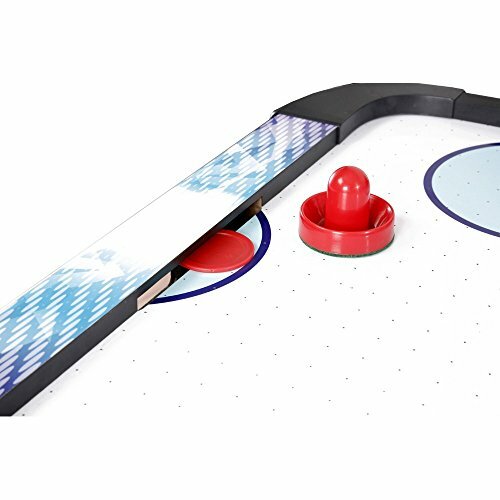 Automatic, built-in puck return system helps keep game play consistent. 110V high output electric blower - UL listed. Dimensions: 60 inches L x 26 inches W x 31 inches H.
Table top thickness of material: 1/8 inch. Striker dimensions: 3 inches diameter. Puck dimensions: 2.5 inches diameter. View YouTube Video "Face-off 5ft Air Hockey Table"